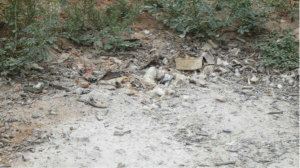 Plastic wastes accumulate in rural communities like Mazvihwa all over the world. What to do with them? 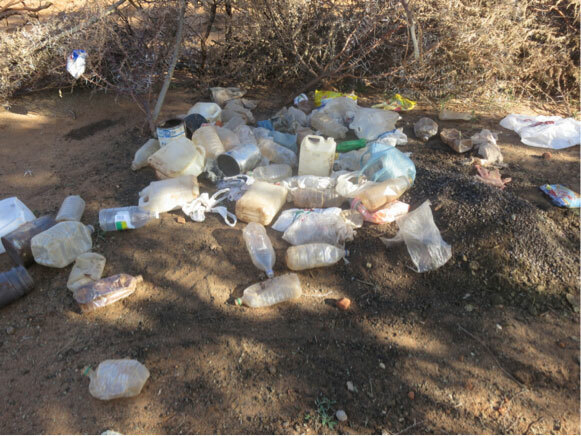 Over the last ten years levels of plastic packaging use has exploded in Africa, even in remote rural areas like Mazvihwa. Here the culture of waste disposal was based mainly of three kinds of recycling. First most items of leather, metal, cloth and rubber would be repaired and patched continuously, and broken or worn out items cannibalized to repair others, until more or less completely worn out when they would be hoarded for possible re-used some day or left in pits for burial. Second, flammable items would be dried and burned and the ashes incorporated into composts and manures. Third, that fraction of organic waste that could not be eaten by livestock would be left in a pit to compost or rot, and/or used in combination with animal manures to fertilize agricultural lands. When plastics came into the area people did not know how to treat the waste, with some burying it, others just accumulating it, and some deciding to burn it and combine it with organic waste as an agricultural input. No-one, including rural health workers was sure which was the best approach, although many were concerned at the aesthetic and other pollution occurring and the noxious smells on burning. 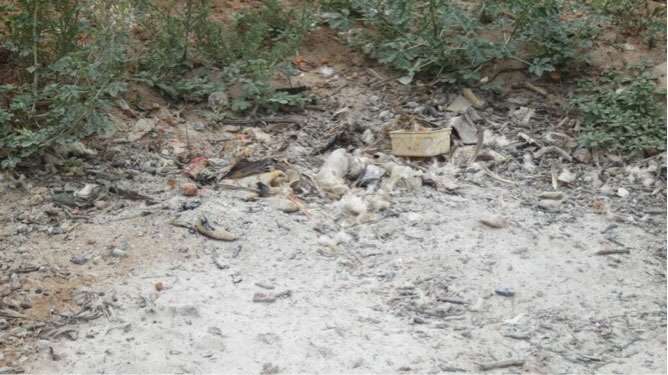 A rubbish pit in which waste deemed recyclable on burning is accumulated in 2013. Muonde volunteer Anuja Mendirrata, with a background in environmental health, worked in 2013 with local Muonde members, especially Simbisai Makumbirofa to listen to local concerns and to try to find the most effective solution. Most plastics used in Zimbabwean products are not labeled by type according to international conventions and probably do not meet international safety standards. It is therefore difficult to determine specific health risks, either from inhalation or uptake of residues by crops. This is a problem that can only be tackled by developing and implementing better safety standards for plastic packaging and by reducing its volume. In the meantime it was determined that burying plastic is probably the least bad option and this approach ahs now been disseminated widely in the area and is increasingly adopted.